The massive RS-25 engine could provide NASA with the heavy muscle it needs to blast astronauts all the way to the Red Planet. Getting mankind to Mars is going to take a truly massive engine — and that engine was on full display in all its raw, incredible power. Referred to as the “Ferrari of rocket engines,” the RS-25 has been designed for NASA’s Space Launch System rocket and will be used to launch the Orion spacecraft, the vehicle that could send man to Mars, according to a CNET report. It would be a remarkable event, one that would be perhaps the equivalent of man landing on the moon in the 1960s, and NASA just took one giant leap toward that goal on Thursday with the developmental test firing of the rocket’s engines at the Stennis Space Center in Mississippi. It is the second to last in a series of seven tests for the main engine of the rocket. A total of four RS-25 engines will be used in combination with two solid rocket boosters of five segments each. 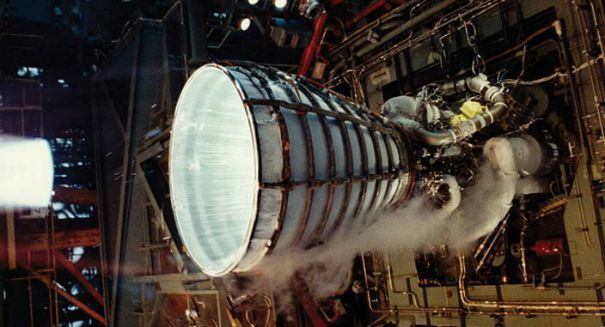 So why is it called the Ferrari of rocket engines? It’s because of how complex the design is and how impeccably crafted engineers have made it — at least according to the RS-25’s engineers. Kathryn Crowe, a propulsion engineer on the project, said that there are three options for improving the performance of a rocket, and the program went with all three: increasing thrust, increasing the weight to thrust ratio, and increasing overall efficiency in propellant usage, according to the report. This new engine isn’t just somewhat better than current engines — it’s miles better. Hopefully, millions of miles better, as that’s how far it will have to send the astronauts compared to where the moon’s astronauts had to go. The Thursday test took 9 minutes. NASA engineers spent that period collecting performance data on the rocket. There will be one more test with all four engines firing simultaneously.